December 18, 2018, 4:00 p.m. Glasses of eggnog, plates of cookies, bowls of mixed nuts. As the holiday season arrives, Planters has a handful of reasons to be in good spirits. New data from YouGov Plan & Track shows that the snack brand’s Index score, which measures a brand’s overall health by calculating the average of six metrics — Impression, Value, Quality, Reputation, Satisfaction, and Recommend — has hit a new high for 2018. Between August 1 and November 30 of this year, Planters averaged an Index score of 37 among all US adults. Just recently, it reached a score of 42. But that’s not all. 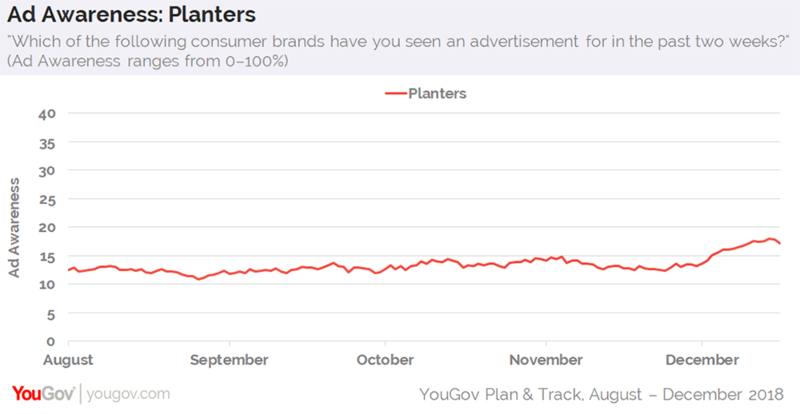 Lately, the brand’s Ad Awareness score also increased to a high of 18% — meaning, nearly one in five consumers aged 18+ recall seeing an advertisement for Planters in the past two weeks. This, again, is a personal best for the brand in 2018. 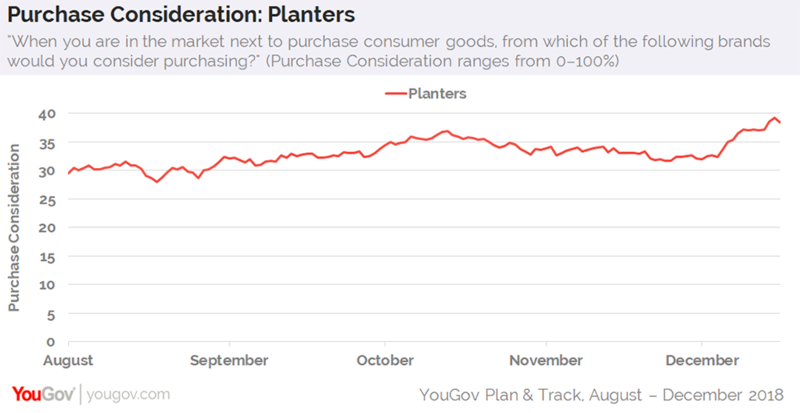 These increases in consumer perception toward Planters, along with a growing awareness of the brand’s advertising, likely starring Mr. Peanut, correspond with a greater willingness to buy the product. On December 1, for instance, 32% of US adults said they’d consider purchasing Planters when next in the market for consumer goods. On December 15, that percentage had climbed to 39%. A look at past data suggests that the winter holiday season is often a good one for Planters, which experiences higher-than-average scores across multiple metrics. 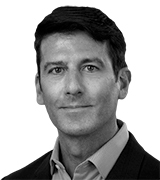 So far, however, the brand is presently seeing higher Purchase Consideration levels than it was around this time last year.